This recipe is a slight variation of a recipe my Mom found on The Chew. 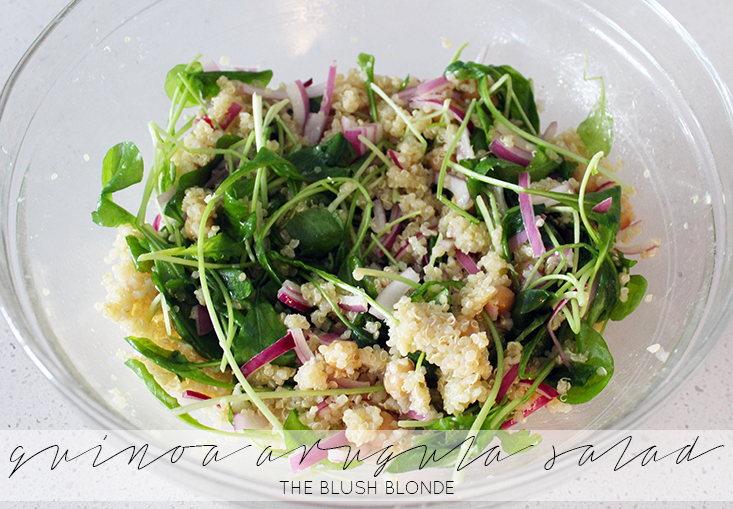 I wasn't a huge lover of arugula before trying this, but it is so good in it I love it! 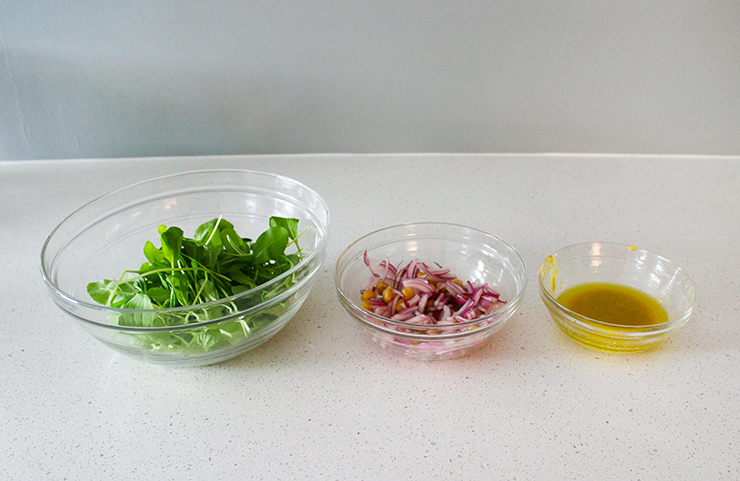 I think my favorite part of the salad though is the dressing, it is kind of sweet, kind of tangy and has a mustardy taste to it - it's now one of my go to salad dressings. I also want to try making just the quinoa and putting the dressing on it because I think that would be delicious too. 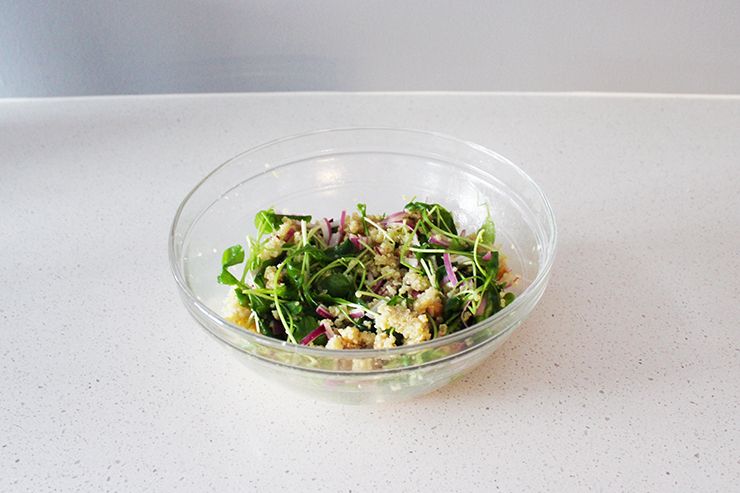 This salad is so light and fresh and goes great with chicken to make a very healthy dinner! -Rinse quinoa with cool water. 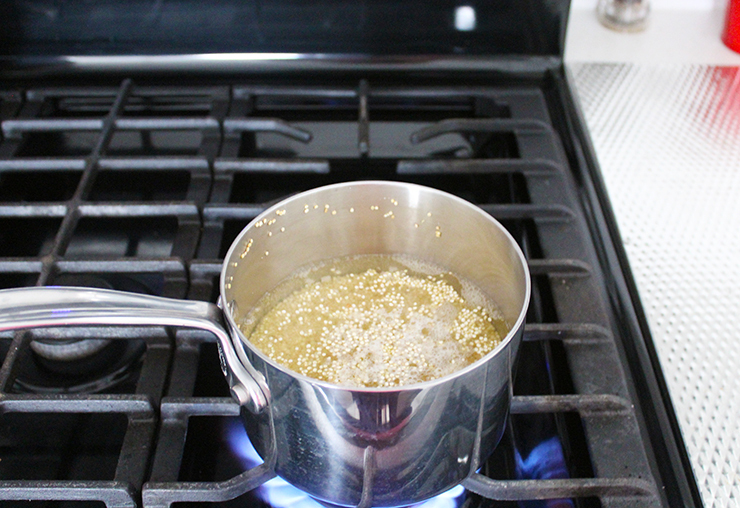 -Cook the quinoa: Place quinoa and 1 1/3 cups water in a pot. Bring to a boil, then lower the heat and cover the pot. Allow the quinoa to cook covered for 20 minutes and then take off the stove. 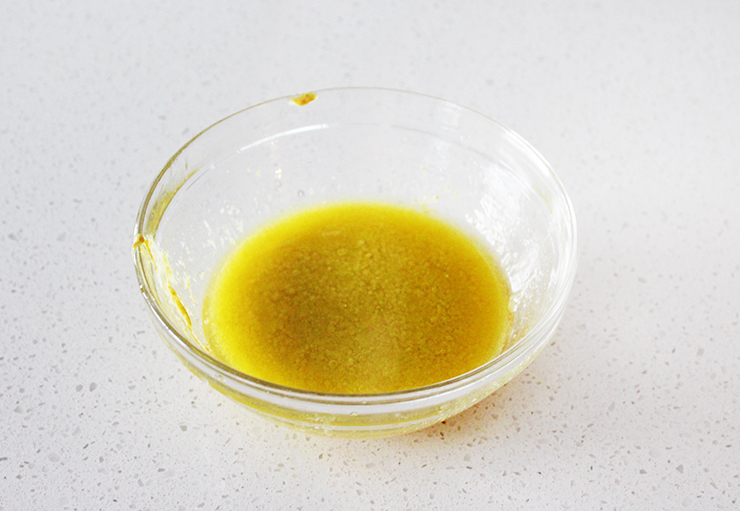 -Stir together the olive oil, lemon juice, mustard, and Stevia. 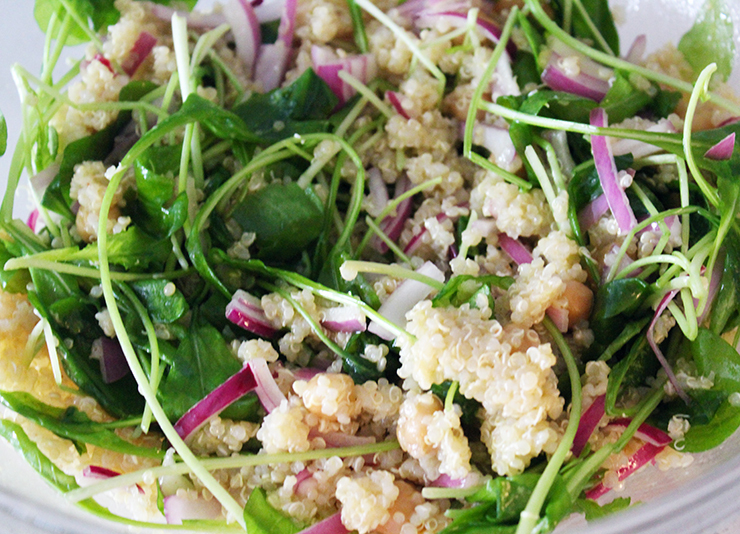 -Combine the cooked quinoa, chickpeas, onion, arugula, and dressing in a bowl. -Toss the salad to completely cover with dressing. YUM! Anything with quinoa and I am hooked! Looks yummy and healthy! I've never had quinoa but it seems like the kind of thing that doesn't really stand out too much. I love argula and quinoa! Can't wait to try! This looks so yummy! Totally going to try!